We provide information, resources, and activity ideas to School Librarians for girls in grades 3 through 8. We are geared toward helping librarians develop programs that foster confidence and excitement for girls in STEM related education and activities. By educating teachers and parents about the special challenges girls face further up in the educational system, we can prepare our students and daughters to meet those challenges in a 21st century STEM-World. 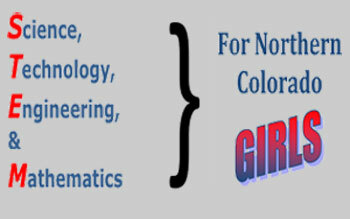 Most programs geared toward encouraging girls to consider STEM careers are created for middle to high school-aged girls. The positions will be there, but unless attitudes change, our girls will be left behind! Collaborate! Note that girls will benefit the most when they can participate and communicate FAIRLY. Provide activities and projects that have meaning and relevance to girls. Develop activities and projects that are open-ended. Let the girls approach projects they way they want, using their creativity, unique abilities, and favorite learning styles. Be Positive! Giving positive feedback to effort, strategies, and behaviors increases confidence and performance. Encourage girls to think critically. Girls will boost their confidence levels and trust in their own reasoning when they learn to think critically. Be a Role Model & find Role Models to talk to your girls. Let them know that the possibilities are endless.